A simple colored chart will give you the forecast of UV index for the upcoming hours. View current UV index from your location. Share with your friends your current UV index to raise awareness. 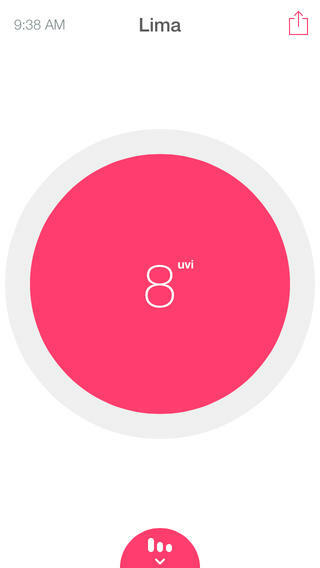 Super simple, great type and color sense round out this ultra minimal app.